It's This or Murder...: SO Delicious Dairy Free Cultured Coconut Milk: You Won't Miss the Moo. 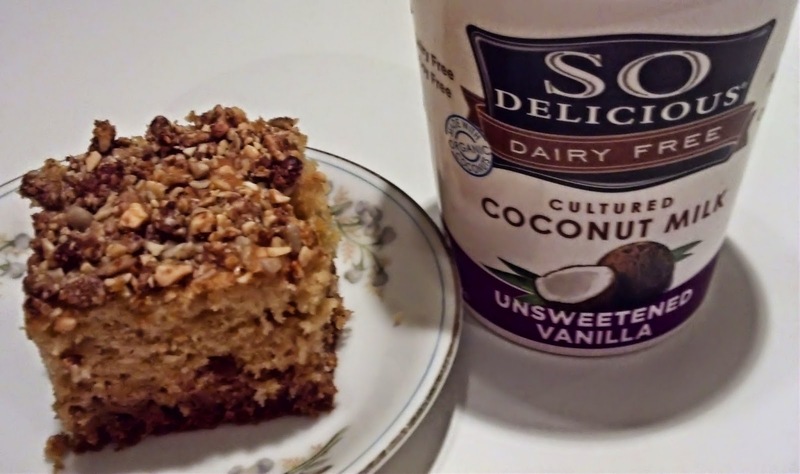 SO Delicious Dairy Free Cultured Coconut Milk: You Won't Miss the Moo. My latest foray into culinary fabulousness via Moms Meet takes me down a dairy-free road, and I skipped the whole way. 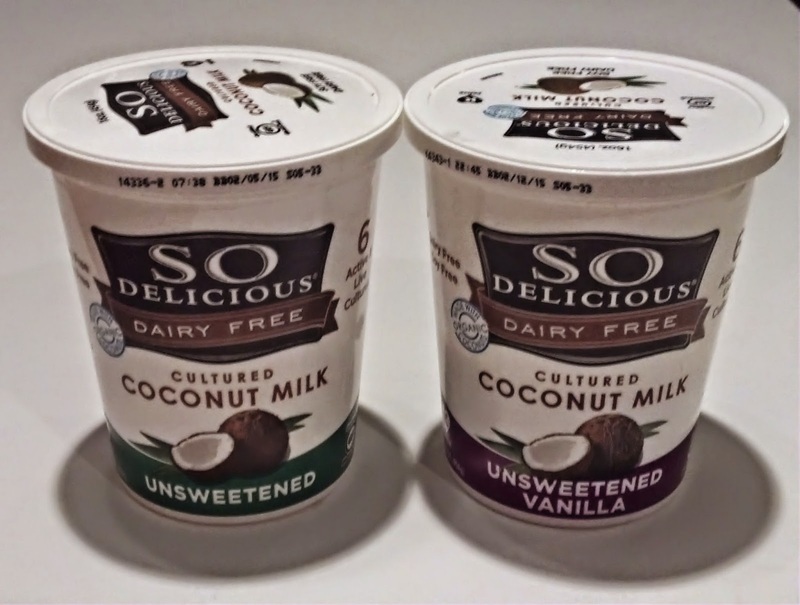 Here it is: Dairy Free Cultured Coconut Milk from SO Delicious! Yes, it's yogurt. Sort of. No dairy, as I said, but yogurt. So what did I do with it? Well, I started with dinner. 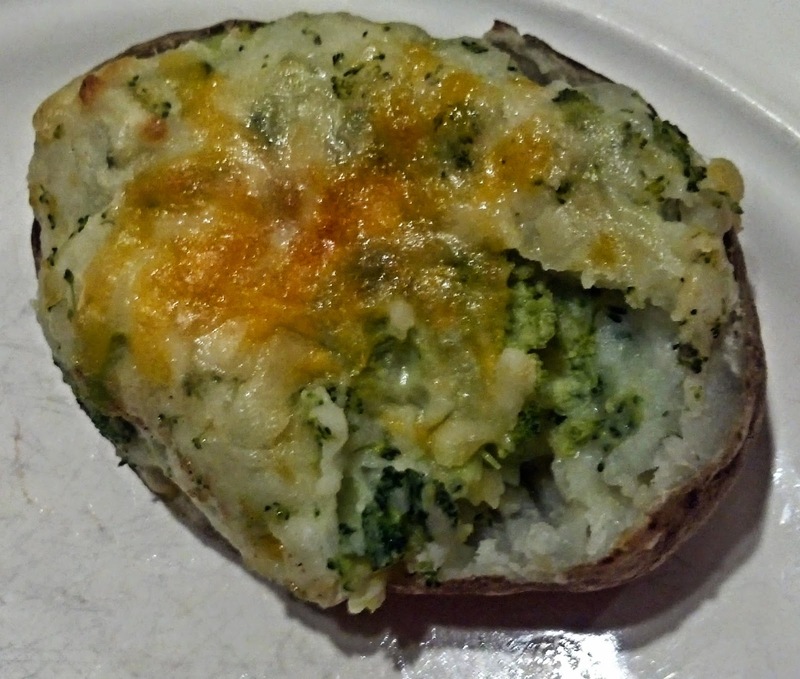 A chicken marinade and Broccoli Cheese Twice-baked Potatoes, made with the unsweetened type. Place all of the ingredients in a blender, and puree until smooth. Use immediately, pouring it over the chicken in a raised-edge pan. 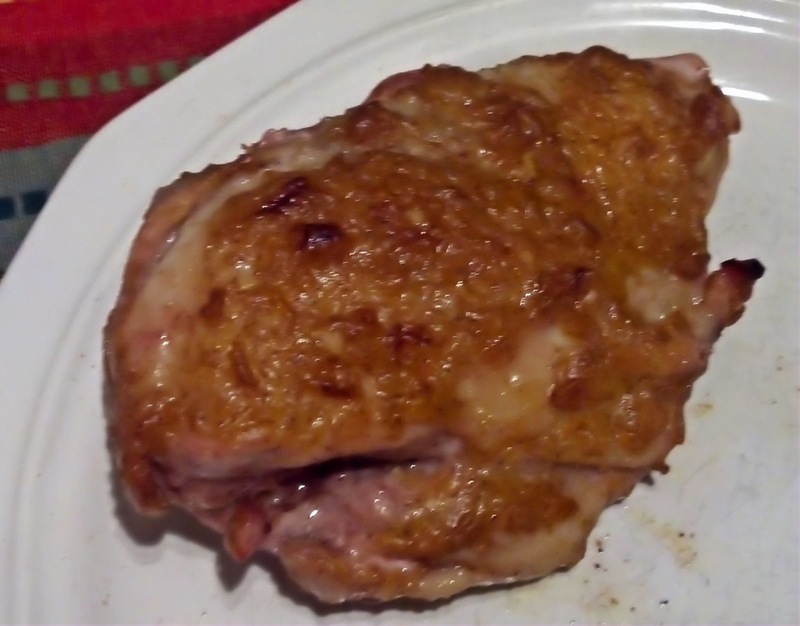 Bake in a 400 degree oven until chicken is cooked through and the sauce forms a light crust. It has a spicy, tart flavor that is really delicious. 1. Preheat the oven to 400 degrees F. See the trend here? All can go in together. 2. While the oven is preheating, puncture the potato multiple times with a fork, and bake in the microwave. 3. Once potatoes are cooked, slice them in half lengthwise. Scoop the potato flesh out of each of the four potato halves and put them in a bowl, leaving four skins. Place the four empty skins alongside each other on a greased baking sheet. 4. In a medium-sized bowl, mash the potato. Add the SO Delicious, broccoli and half of the cheese, and stir well to combine. 5. Scoop out the mixture and evenly divide it onto the four potato skins. 6. Evenly sprinkle the remaining cheese on top, and bake for about 20 minutes. I'm not a huge broccoli fan, but I really liked these cheesy, creamy sides. Ah, but what about dessert? Sure...let's do cake! A fabulous coffee cake, or as my kids called it, the Honey Cake...since it contains honey. Inspired by this recipe. Preheat the oven to 350°F. Butter and flour a 8 by 8-inch baking pan. To make the topping: In a small bowl, combine the nuts, flour, honey, and cinnamon. 1. With an electric mixer, cream the butter. Beat in the honey and eggs. 2. In a small bowl, whisk together the flour, baking soda, and salt. Beat portions into the butter mixture, alternating with the yogurt. Beat in the vanilla. 3. Pour half of the cake batter into the baking pan. Cover with half of the topping, then add the remaining batter, and top with the remaining topping. Bake for about 45 minutes, or until a toothpick inserted in the center comes out clean. 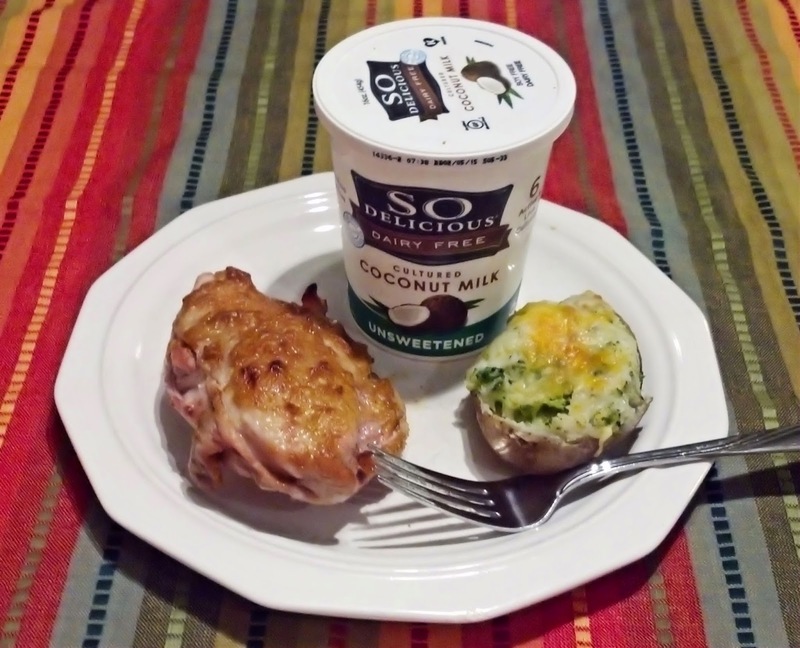 SO Delicious Dairy Free Cultured Coconut Milk has a great creamy texture, and is a wonderful dairy-free substitute for sour cream and yogurt. It's pretty darned tasty, as well. Only 60 calories per serving, and since it's made with coconut, free from most allergens as well. Not to mention soy-free, gluten-free, and made using only organic Non-GMO Project Verified coconuts. Check it out. Really. I received products from Moms Meet for testing and review purposes. My opinions and now messy kitchen are my own.